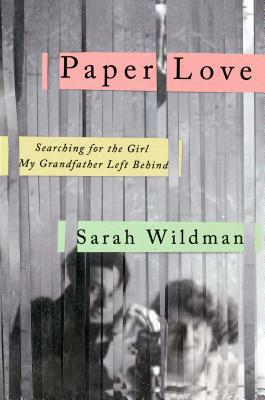 One woman's journey to find the lost love her grandfather left behind when he fled pre-World War II Europe, and an exploration into family identity, myth, and memory. Years after her grandfather's death, journalist Sarah Wildman stumbled upon a cache of his letters in a file labeled "Correspondence: Patients A-G." What she found inside weren't dry medical histories; instead what was written opened a path into the destroyed world that was her family's prewar Vienna. One woman's letters stood out: those from Valy--Valerie Scheftel. Her grandfather's lover who had remained behind when he fled Europe six months after the Nazis annexed Austria. Valy's name wasn't unknown to her--Wildman had once asked her grandmother about a dark-haired young woman whose images she found in an old photo album. "She was your grandfather's true love," her grandmother said at the time, and refused any other questions. But now, with the help of the letters, Wildman started to piece together Valy's story. They revealed a woman desperate to escape and clinging to the memory of a love that defined her years of freedom. Obsessed with Valy's story, Wildman began a quest that lasted years and spanned continents. She discovered, to her shock, an entire world of other people searching for the same woman. On in the course of discovering Valy's ultimate fate, she was forced to reexamine the story of her grandfather's triumphant escape and how this history fit within her own life and in the process, she rescues a life seemingly lost to history. Sarah Wildman has reported across Europe and the Middle East for "The New York Times," "Slate," and "The New Yorker," among other publications, and is a former "New Republic "staffer. She is the recipient of the Peter R. Weitz Prize from the German Marshall Fund of the United States, for excellence and originality in reporting on Europe and the transatlantic relationship, for the series in "Slate "where "Paper Love "originated. Wildman lives in Washington, D.C."